The Regular Expression Editor allows you to compose a Perl Compatible Regular Expression (PCRE). 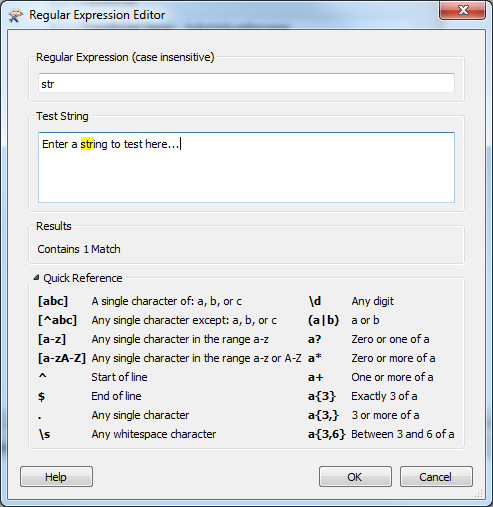 Enter the expression in the Regular Expression field. Use the Test String field to test the expression. If the results of the regular expression are found in the test string, they are highlighted, and the number of matches is indicated under 'Results'. A basic guide to PCRE syntax is provided under Quick Reference. For more information, see the Perl Programming Documentation.